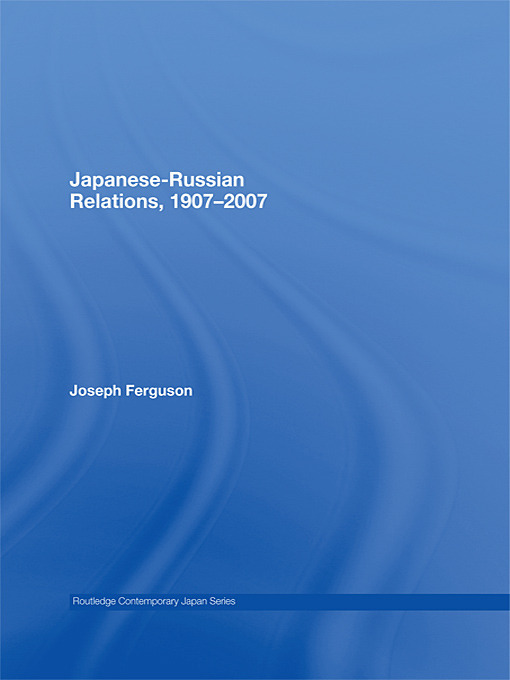 This book provides a comprehensive survey of Japanese-Russian relations from the end of the Russo-Japanese War until the present. Based on extensive original research in both Japanese and Russian sources, it traces the development of relations from the tumultuous pre-war period, through the Second World War, Cold War and post-Cold War periods. Considering the wider international situation, domestic influences and ideological factors throughout, it shows how the hopeful period of the late 1990s - when Japanese-Russian relations briefly ceased to be acrimonious, and it seemed that normal relations might be established - was not unique. Joseph P. Ferguson argues there have been several previous occasions when rapprochement seemed possible, which in the end proved elusive: rapprochement frequently becoming the victim of domestic factors which frequently worked against and took precedence over good relations. The book concludes with an assessment of the present situation and of how relations are likely to develop in the immediate future.